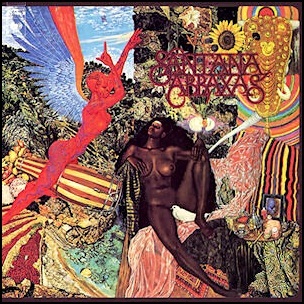 In September 1970, “CBS” label released “Abraxas”, the second Santana studio album. It was recorded April – May 1970, at “Wally Heider Studios” in San Francisco, and was produced by Fred Catero and Carlos Santana. In 2003, “Rolling Stone” magazine ranked the album at number 207 on its list of the “500 Greatest Albums of All Time”. The album was certified 3 x Platinum in Canada by “Music Canada”; Platinum in France by “SNEP”, and 5 x Platinum in US by the “RIIA”.